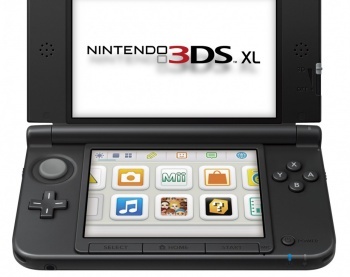 People disappointed by the 3DS XL's single stick will "have to live with it." So, it turns out the recently unveiled 3DS XL isn't hiding a second analog stick under its clam-shell carapace, much to chagrin of some fans. So why is Nintendo producing an even larger version of the Circle Pad Pro rather than putting a stick second stick straight on the system? Because it isn't big enough, apparently. "When we looked at the design of the 3DS XL, we had to look at various factors," Nintendo president, Satoru Iwata, told the Independent. "One was battery life. One was the overall size of the unit. And we had to make some trade-offs. The choice, if we were going to include the second analog stick, was to reduce the size of the batteries or make the unit much bigger. Introducing the second analog stick would also split the 3DS market in half. While Nintendo could always mandate developers to include control schemes for 3DS systems with and without the second analog stick, they'd eventually end up with games aimed mainly at the latter, rendering original 3DS models obsolete. "Attaching a second analog stick is possible," Iwata continued, "but it would have made the system even bigger, and, though it perhaps puts a burden on people that really want that second stick, it's a call we had to make and these people will have to live with it."